Finally, on my third visit to Myanmar (Burma), I got to see the Golden Rock. It was after sunset, following a full moon, in the height of the pilgrimage season, and the candles had been lit by devotees to create this unworldly spectacle. Buddhist tradition believes that the balancing rock is held in place by the hair of the Buddha. A bizarre job for the Daily Mirror on Monday – but the moment I set eyes on the subject, I knew it was going to work. 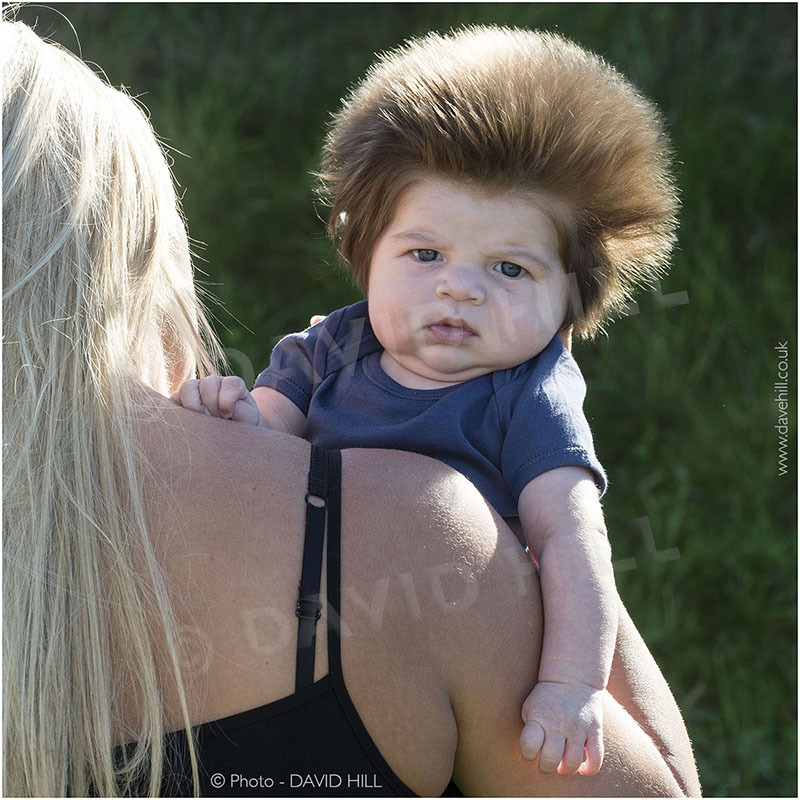 At only eight weeks old, baby Junior Noon has the most amazing head of hair. It was handy having the sunshine as a strong backlight and Chelsea (his mum) and Junior gave me all the cooperation I could wish for. so I shot a 20 second clip on my iPhone which has since been seen all around the world. Contact Daily Mirror Syndication to use this picture. This is the poster I designed for my upcoming photo exhibition at the Oxmarket Centre Of Arts, in Chichester, West Sussex. Opening day is Tues 16th Feb until 28th February. Closed on Mondays. Admission free. Apart from the usual steam railway images, mainly from China, there will be a selection from a recent trip to Ladakh and Rajasthan in India. Come along, if you’re in the area. 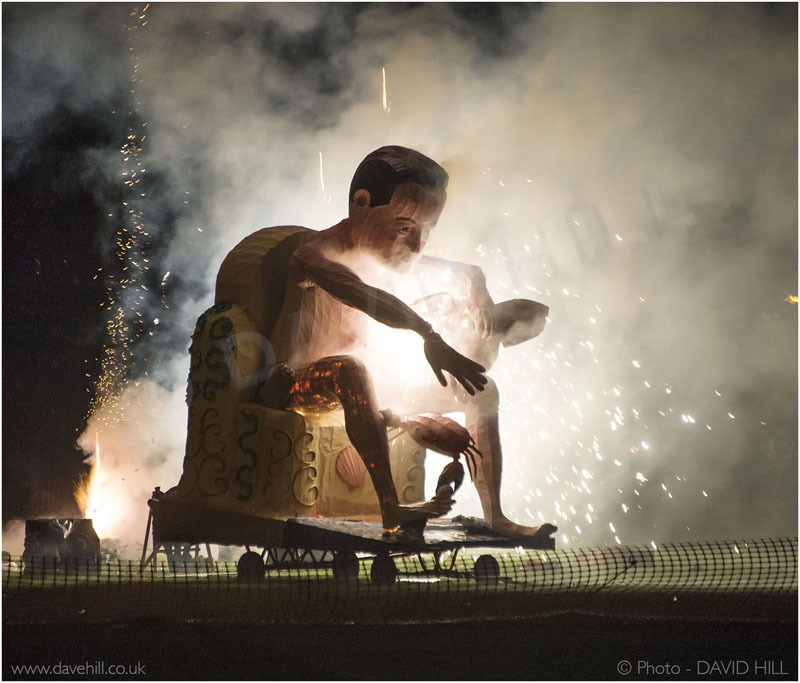 The Daily Mirror asked me to try for a picture of the David Cameron effigy being burned at the Lewes bonfire night celebrations. With there being half a dozen fire sites around the town, and the Cameron effigy burning being shrouded in secrecy, it was all a bit hit or miss. However, I made it to the right location, in time to capture an explosive end to the giant figure. At 10.30pm, sadly it only made the last edition of the paper. 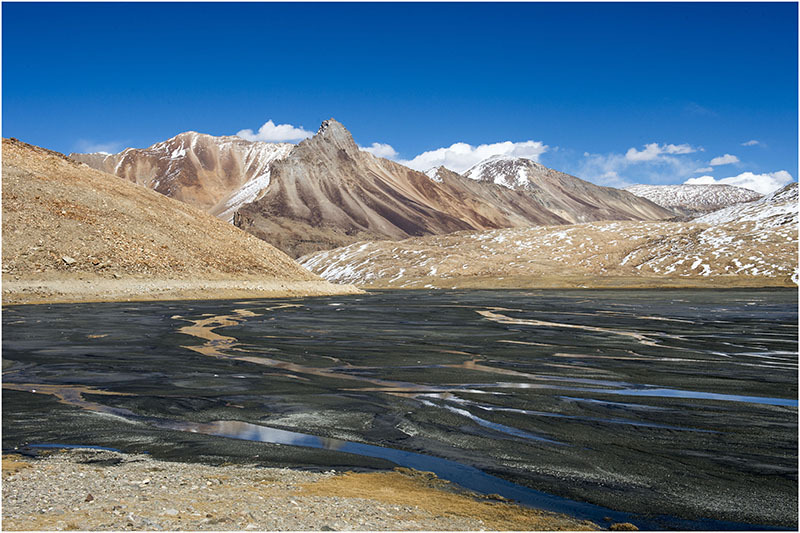 I wanted to arrive in Ladakh by road, and that meant making the two day drive over the Manali-Leh Highway. Four or five passes to negotiate, a couple over 18,000 feet altitude. Needless to say, the scenery was spectacular. It was late in the season to be travelling, but we just made it by about a week before they closed the road for the entire winter. Halloween awaits! 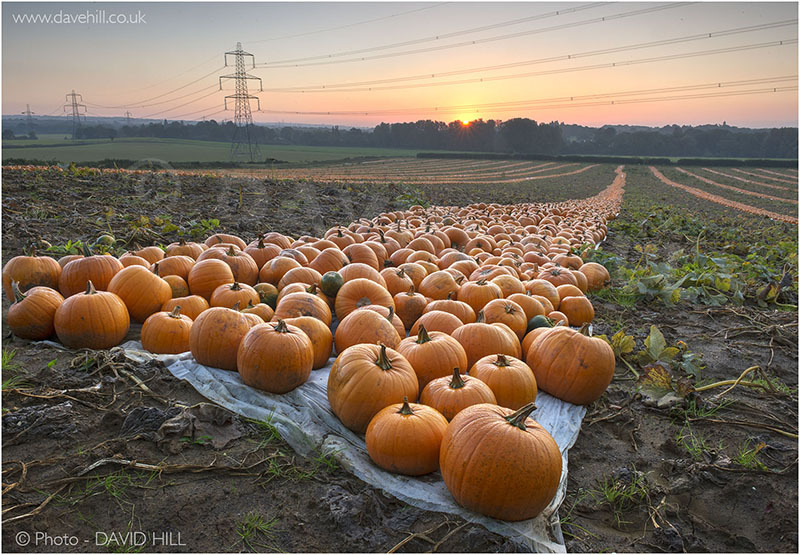 The pumpkins have been picked and are awaiting shipment to retail outlets. The lines of potential masks and lanterns were seen on a farm near Midhurst in West Sussex. 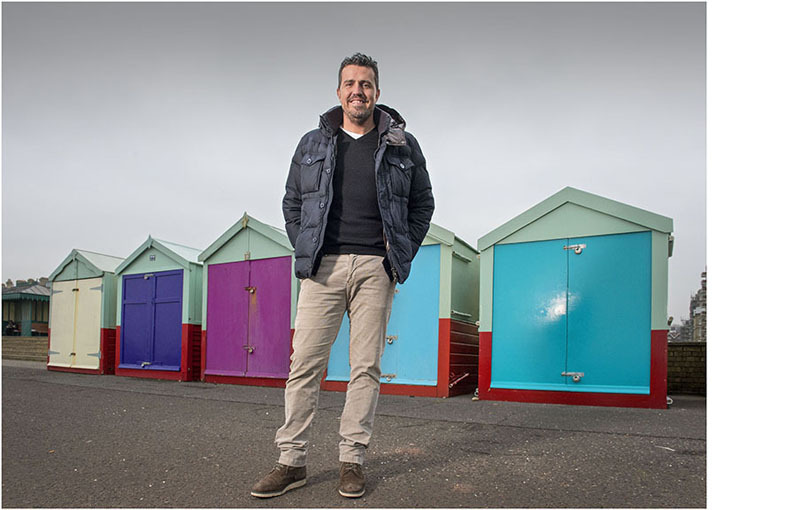 I’m away travelling at present but I gather a picture from the set was used in the Guardian and The Times. Wilson, a name to look out for. 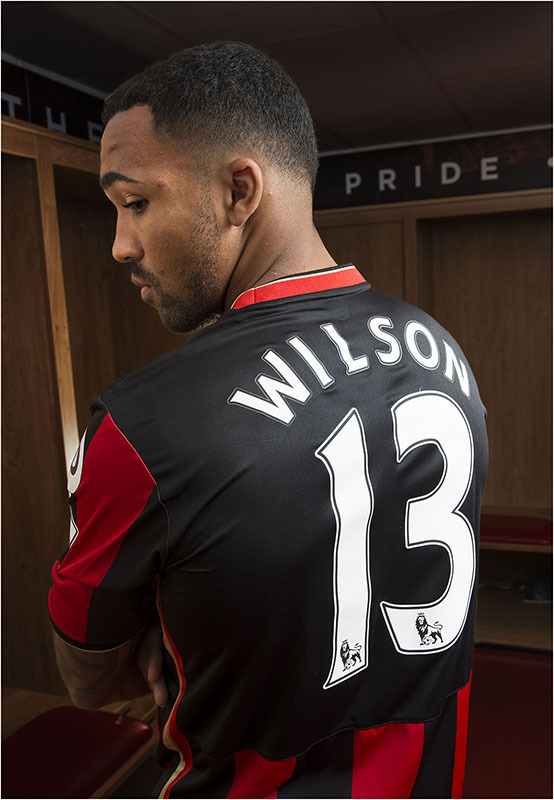 A Daily Mail commission to photo young Callum Wilson, currently enjoying success as a goal scorer at Bournemouth F.C. And he’s not superstitious! 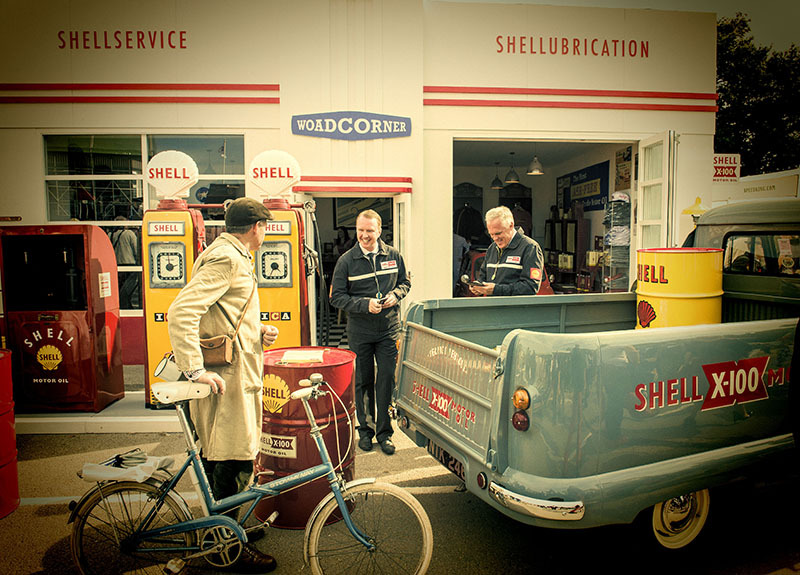 I was commissioned by perfume company Boadicea the Victorious to take photographs at the Goodwood Revival meeting in West Sussex, and was impressed by the enthusiasm shown by the visitors, dressing in 50s and 60s outfits for the event. And this ‘pop-up’ filling station was just one of the period pieces on show. One from the archives – I particularly liked this portrait from my trip to Eritrea at the end of last year. This man was working the hand brake on a carriage on the rickety Eritrean railway. 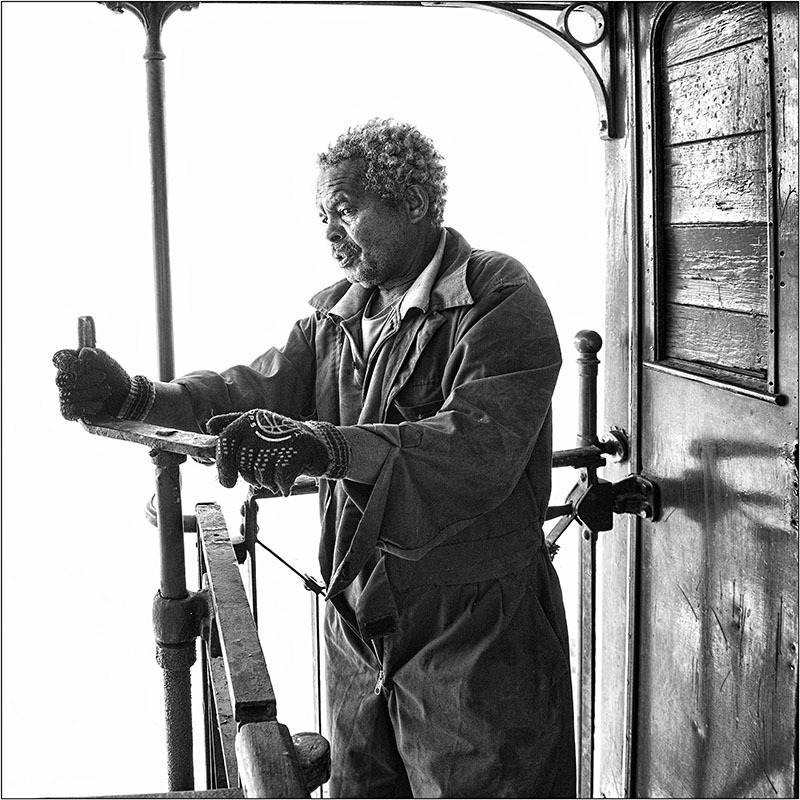 His concentration is evident, as well it might be – as he has nothing but sky beyond him, as his train descends a precipitous section of the line which runs from the capital Asmara, down to the Red Sea port of Massawa. For this months village magazine cover, I decided to feature the annual Thai festival organised by the local pub. The landlady is a Thai national and proceeds of the event go towards the Mudita Trust, a charity aimed at preventing child prostitution in Thailand. 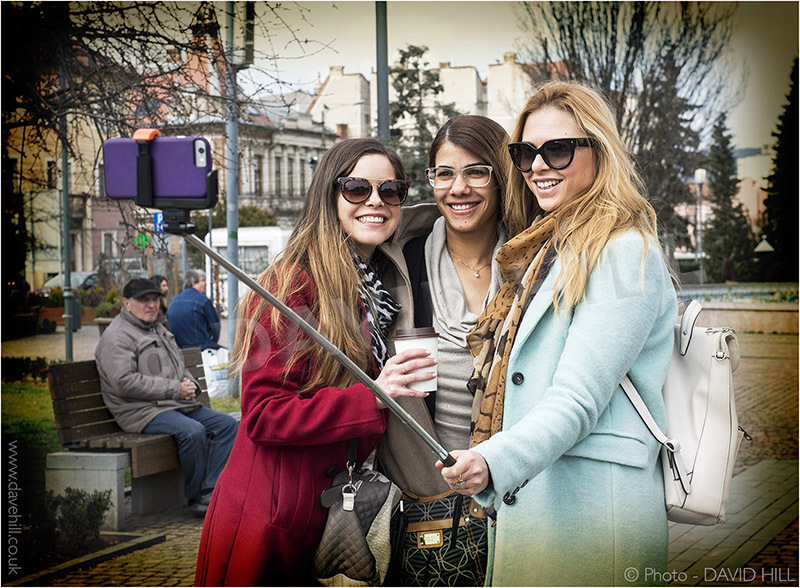 ‘Selfie Queens’ – recently wandering around Clug-Napoca in Romania and chanced on these pixel princesses committing themselves to digital history. Was on a project in Bosnia and Herzegovina last week when I chanced upon this rather sad scene that was ‘lifted’ a little by the delicacy of the snowy conditions. The old Skoda built steam loco had been abandoned in the goods yard at Oskova, Banovici, near Tuzla. 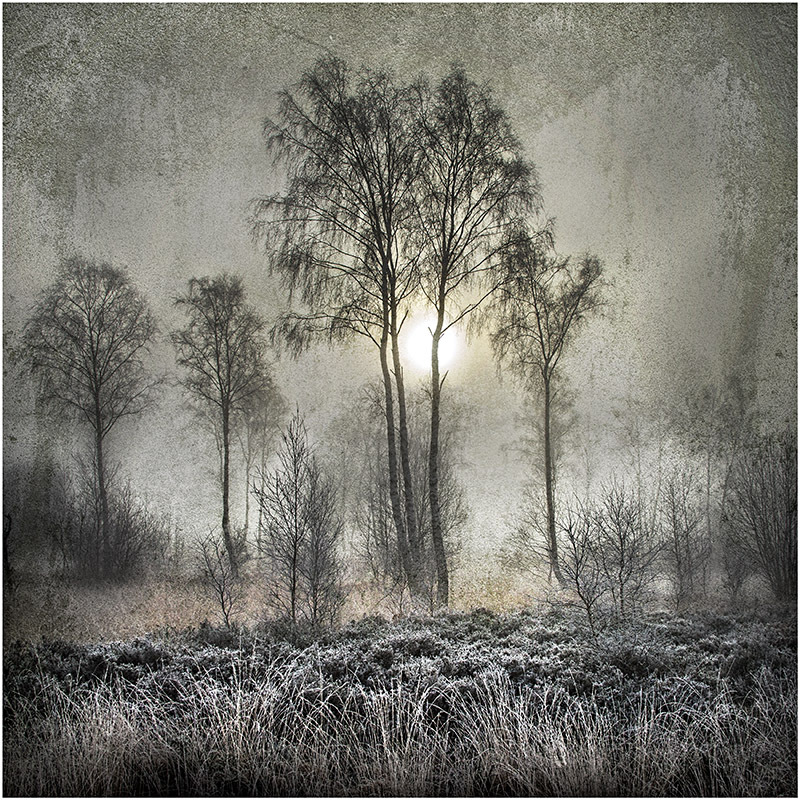 A freezing fog, together with a sharp frost added a touch of mystery to this scene on Stedham Common, near Midhurst in West Sussex. 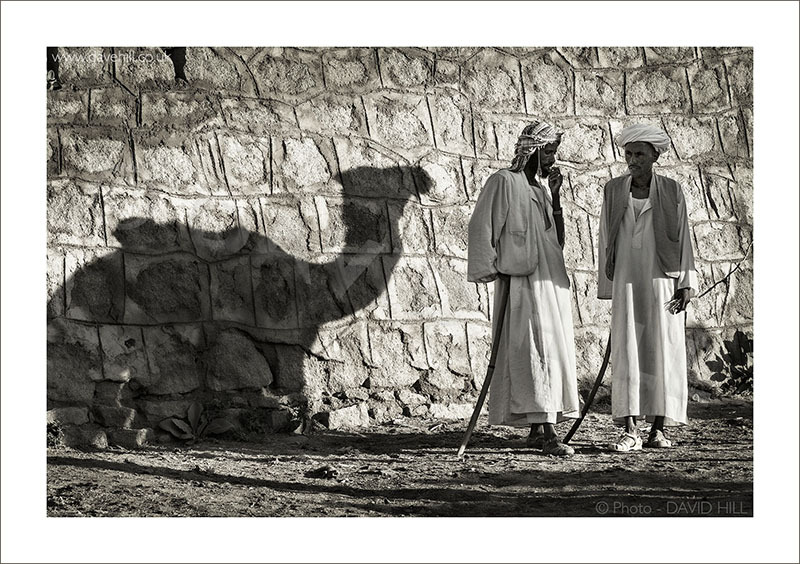 The shadow of a possible sale hangs over two traders in the camel market at Keren, in Eritrea. The time spent in the age old market was a fascinating highlight during my recent visit to this impoverished country on the Horn of Africa. December 2014. Driving along the backroad, under the Downs, and with the persistent fog slowly dispersing, I chanced on a dramatic patch of sunlight. 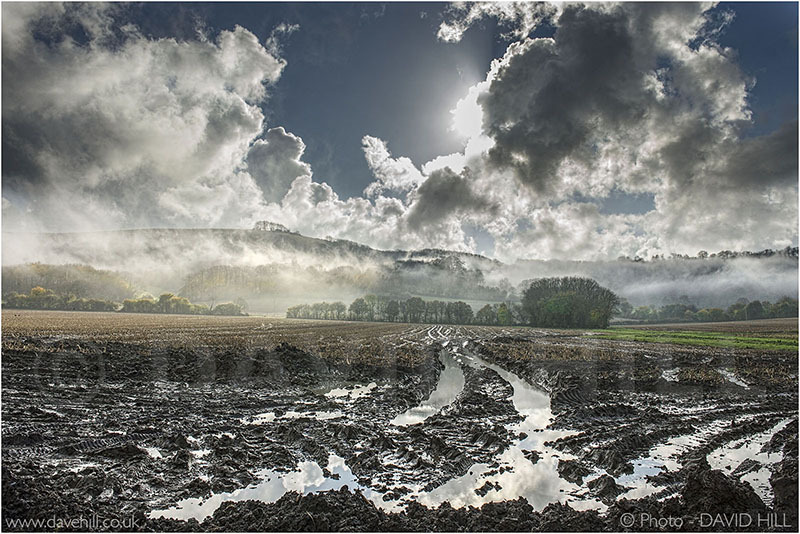 The tendrils of mist on the hillside gave a tropical forest feel to the scene, but the waterlogged field in the foreground was testament to the reality of a wet autumn in England. The picture of the South Downs at Harting was published in the Daily Mirror and Daily Telegraph. 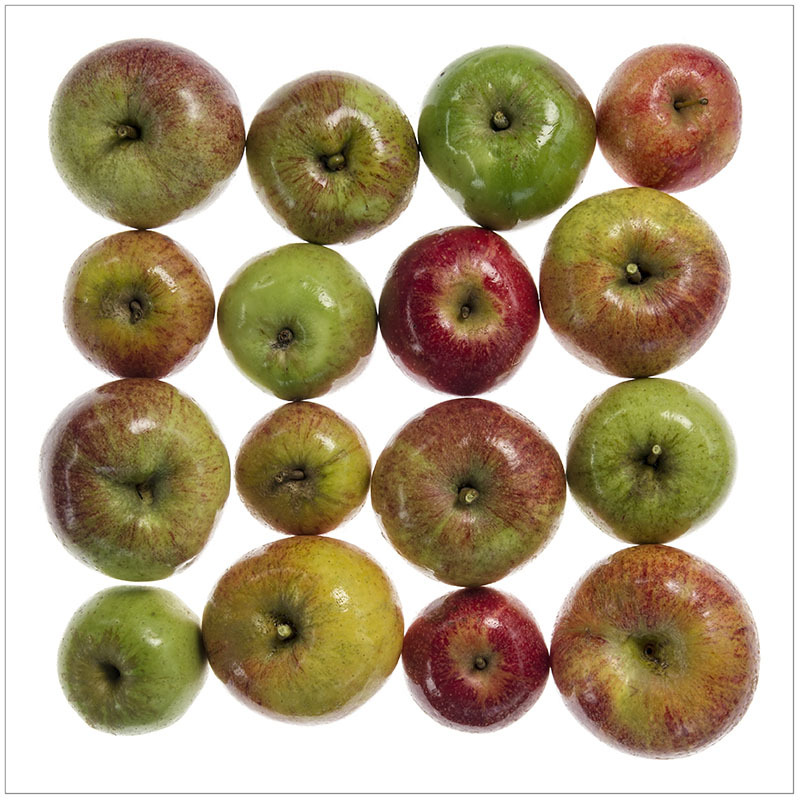 They arrive in all shapes and sizes to be photographed. Happily, this one didn’t kick or bite! 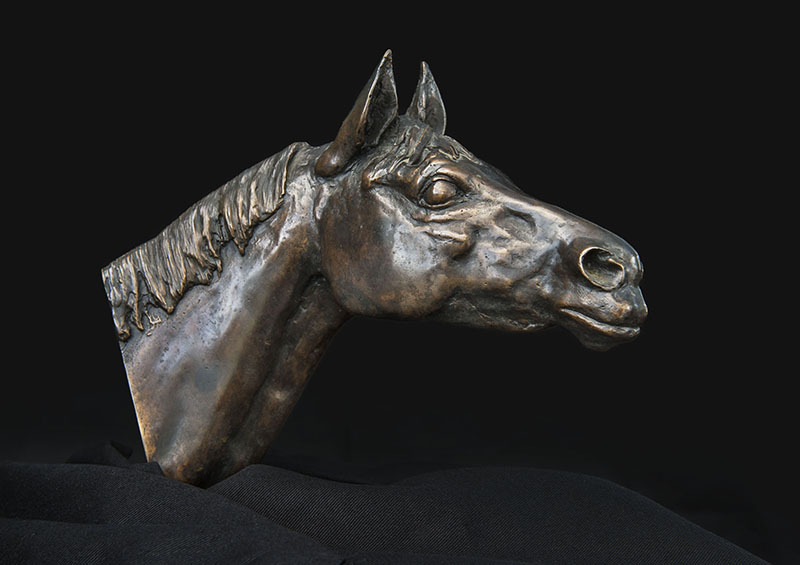 In fact, I had great pleasure in working with this bronze by equine artist, Shirley Pace. The soft natural lighting has shown the texture to great effect. 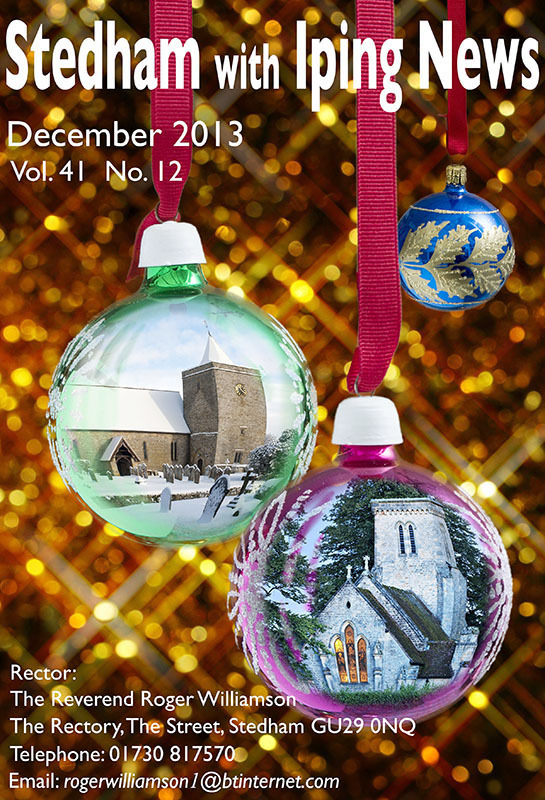 Another month – another cover for the local parish magazine. And for October, a harvest festival theme. The other evening, I was working my shift on the night Picture Desk of the Daily Mirror, and from our position on the 22nd floor, we saw helicopters flying across the London city sky line. It was an advertising stunt for the new Jaguar car. 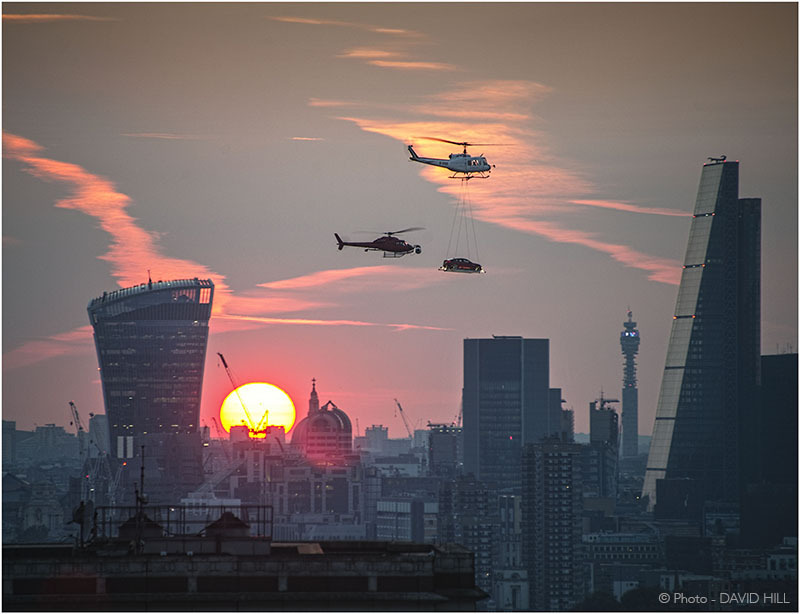 One helicopter lifted the car across the evening sky shadowed by another carrying the film crew. The timing was perfect and I think we had as good a view as anyone. with a fiery chilli sauce. I had a slightly more unusual commission for the Daily Mirror recently. 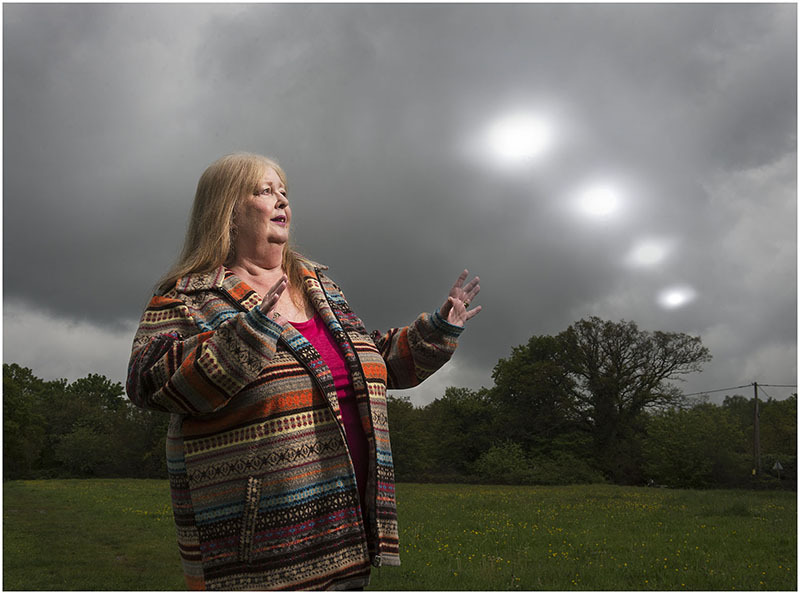 The subject was Hilary Porter who recounted a lifetime of interacting with aliens – being abducted, and seeing lights in the sky. Now, I make no judgement whatsoever on this, but was lucky on the day of the photography to have dark menacing skies, and even more fortunate that the ‘lights’ appeared for me too . . .in perfect synchronisation with the opening and closing of the shutter. My exhibition at the Oxmarket Gallery, Chichester has ended, and I was pleased how it gained momentum during the two weeks. 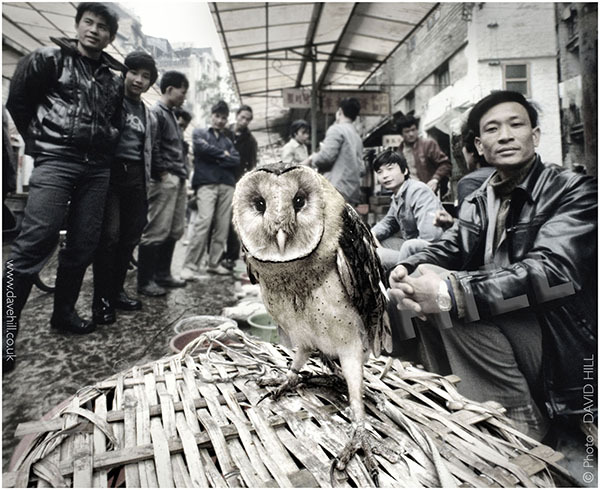 It gave me a opportunity to show some work from my most recent trip to China last January. 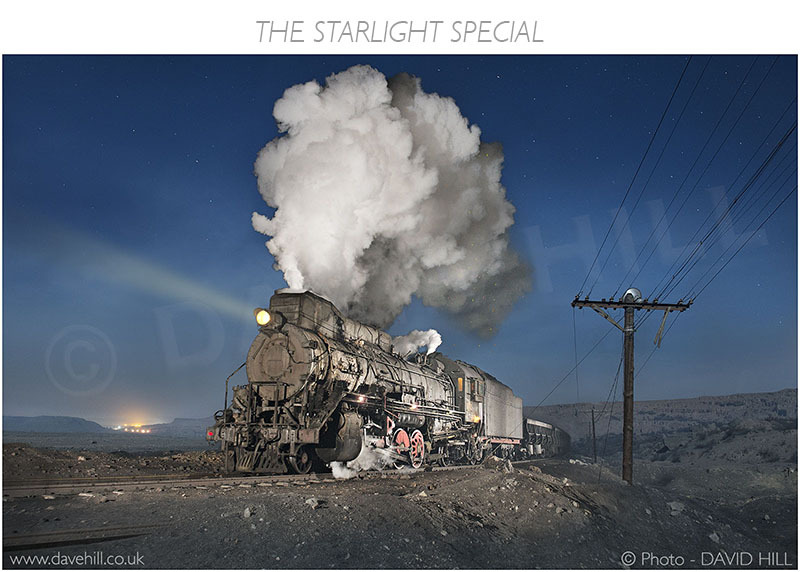 One of the pictures that attracted much attention was ‘The Starlight Special’. I have long wanted to take a photo of a steam train in ‘full cry’, at night using flashes (strobes). But I also wanted to retain any ambient light, to keep the atmosphere of the location. A full moon at Sandaoling open cast mine seemed a good time and place to try, but it took three evenings to get this. Despite the regular traffic during the day, inexplicably, there was a dearth of trains at night. On the first two nights, going down into the pit at 7pm, armed with a flask of hot coffee, we waited until 11pm before seeing a train! But I wasn’t totally happy with the result. On the third night, it all came together after only an hour. Just as well, as night temperatures were around -20C! Xinjiang Province, western China. 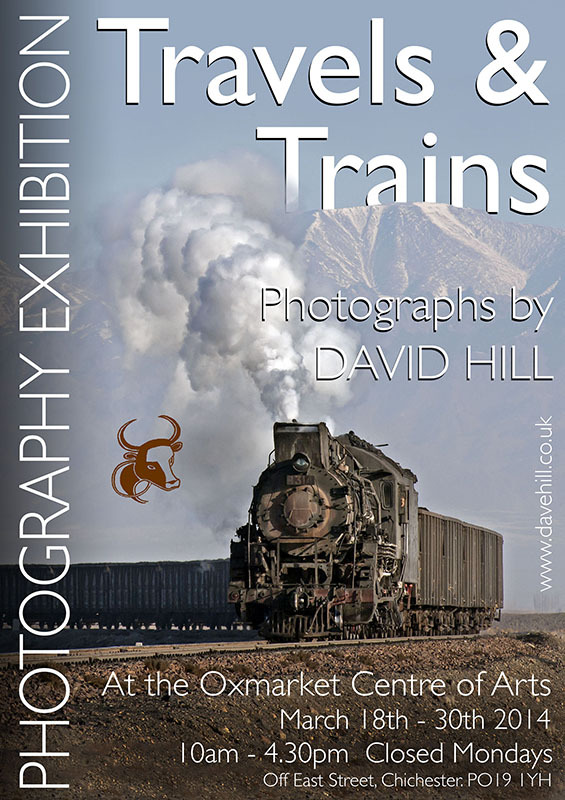 Here’s a poster I’ve just designed for my forthcoming photo exhibition at the Oxmarket Gallery in Chichester. My passion is steam trains, but although the many museum heritage lines around Britain are excellent, it is the real working steam railways that I prefer to document. Sadly, the only country which still uses steam locos is China, and even in that vast country, there are probably only around 150 left. They’ve long since disappeared from the main network, and can only be found in rather less than attractive venues – on open cast coal mines and steel works systems. 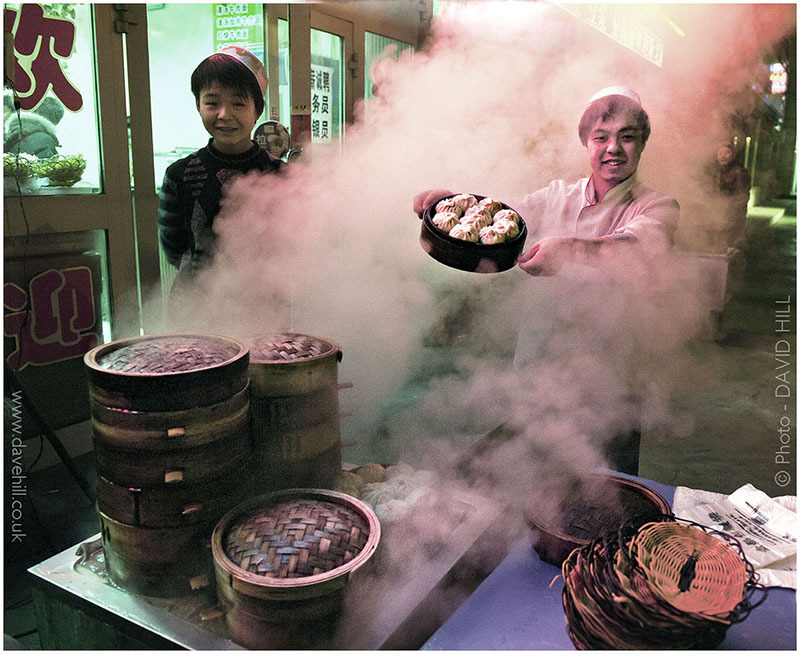 The harsh Chinese winter guarantees steam exhaust of volcanic proportions. And the people working around these trains make interesting subjects. 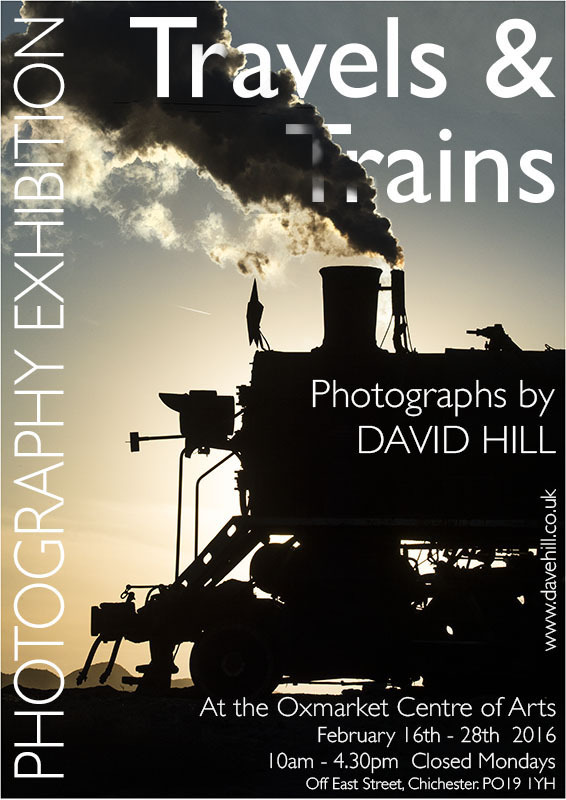 So if you’re in the Chichester area, call in and view the show. Admission is free! in Fuxin, Lianoning Province, all hell was breaking loose. 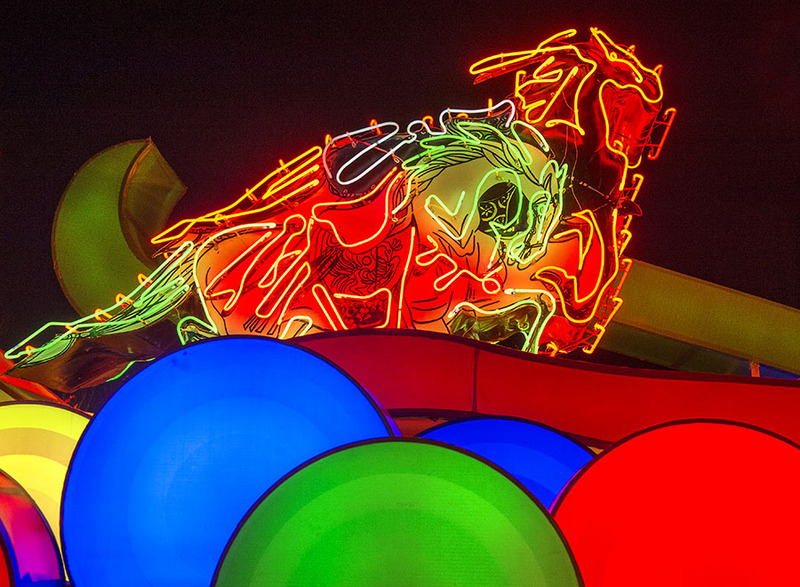 for the coming year – ‘The Horse’. 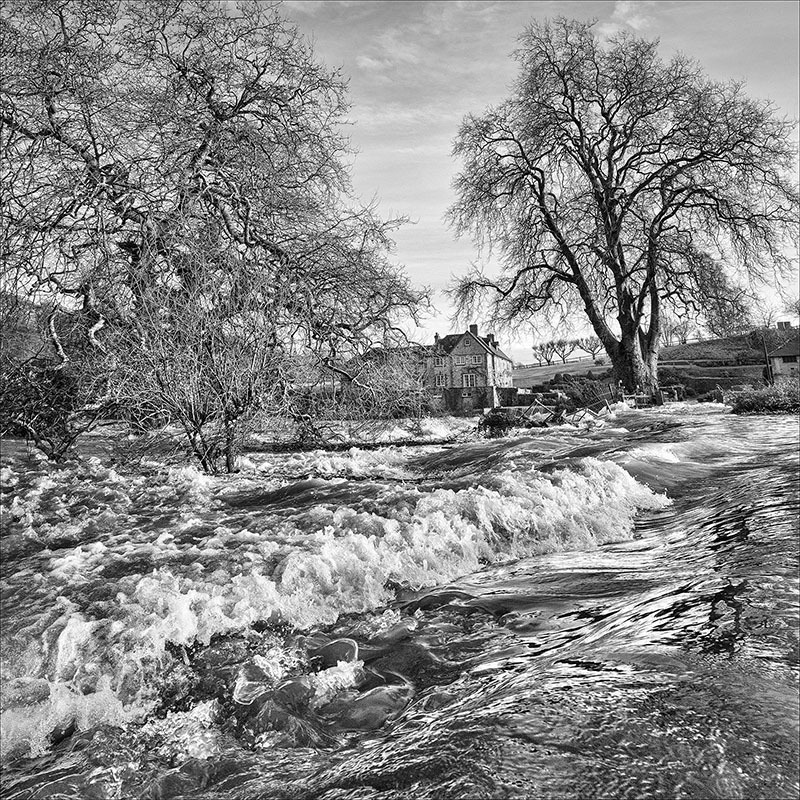 so I waded in, looking for the ‘interesting’ foreground water! 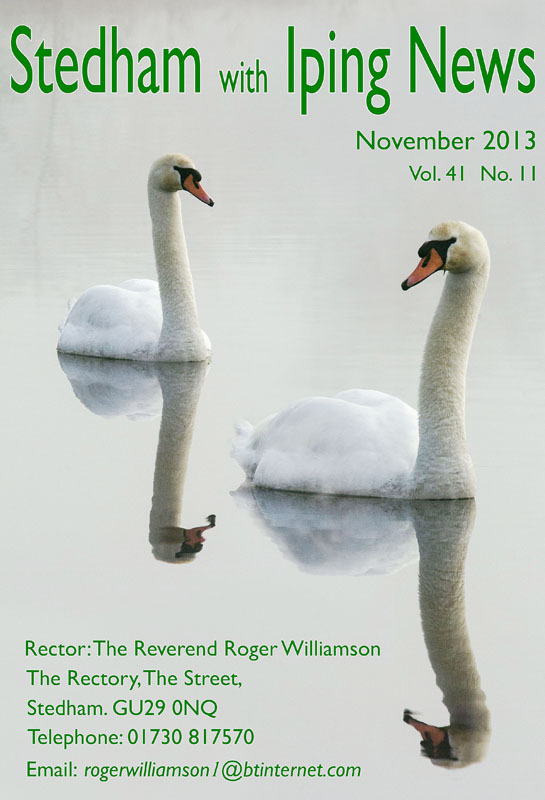 Another month, and another offering for the parish magazine. on a dark, very grey Hove seafront. expression of helplessness, or boldness. Certainly, the stance is quite defiant. or even to be used as a rat catcher. the covers for our local parish magazine. countryside and the South Downs National Park. and I have to dig a little deeper into my imagination. Here’s this months resulting cover.